Don't you think that it is about time you quit smoking? Or have you already quit several times? 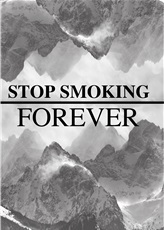 The purpose of this book is to assist you in quitting forever, without the urge to start up again. In just one week after starting to quit smoking, you can be free from tobacco forever.